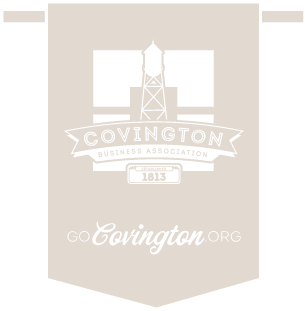 The Covington Business Association (CBA) is a nonprofit organization, representing and advancing the interest of local businesses. The goal of the association is to raise awareness of the businesses that operate in Covington – as well as the shopping, dining and entertainment options that abound here – positioning our city as the economic and cultural hub of our region. 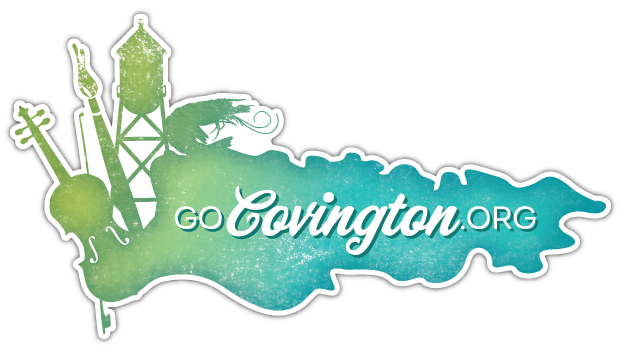 We also strive to be a catalyst for cooperation between the City of Covington and all of our member businesses. CBA members meet on the first Wednesday of every month from 5:30-7:30PM at different businesses throughout the city. Meetings are free, and new businesses are welcome to attend one meeting prior to officially joining the organization. At the meetings, members hear from municipal leaders, local organizations, CBA representatives and other guest speakers about topics that are of importance to the business community. Members also have the opportunity to share information about their own business. Attending meetings is a great way to stay plugged into everything that’s going on in our community. msh architects, llc| Firehouse Event Center, 432 N. Theard St.
St. Tammany Art Association| 320 N. Columbia St. If you are a Covington business, or if you own a business that provides services in the Covington area, please consider becoming a member of the Covington Business Association. Annual dues are $120 (due January 1st each year); membership is prorated to $60 after July 1st of each year. Looking to plant a bit of Covington swag? Fill out our small application to receive a complimentary CBA Go Covington flag.